Creation Date Monday, 13 October 2014. The nearly total destruction of the 79-year-old North wastewater treatment plant has been inoperable due to floodwater. It damaged the facility’s pumps and electrical components in 2008 and significantly aggravated the need to expand the South plant. 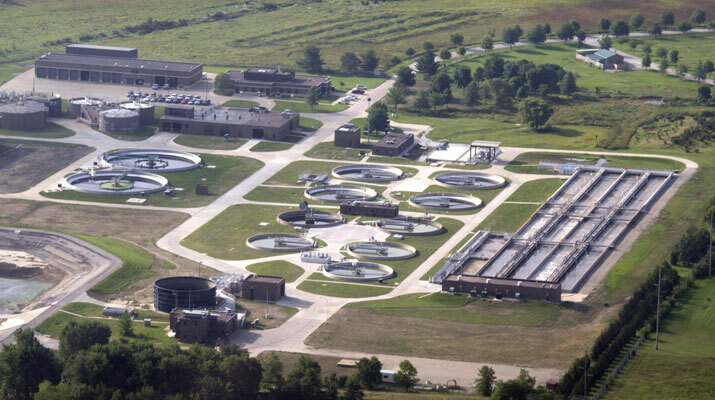 This project is instrumental in optimizing the plant’s efficiency and complying with new water quality standards in Iowa as well as addressing the needs of the growing population in the city. “It’s a more efficient facility than we had before, and I’m glad it’s up and running,” said Kingsley Botchway II, Iowa City City Councilor. Reinforced by the mission to obtain environmental and financial sustainability, the new facility is intuitively planned to offer a vast of capabilities. The South plant uses ultra-violet rays as the filtering media instead of chlorine gas and sulfur-dioxide to promote an eco-friendly system. Additionally, “the plant recycles water and uses it for watering nearby communities like soccer field. It also produces enough fertilizer to cover more than 800 acres of land, and reclamation of methane from wastewater may save the city $50,000 annually”, Matt Hayek, Iowa City Mayor added. Large scale wastewater treatment plants rely on high-grade water purification systems for efficient and reliable service in the residential and industrial communities. Aqua Solutions is dedicated to providing advanced lab water systems like Type I DI Systems for use on pre-treated water engineered for high capacity water applications. To learn our more about our complete line of Type I DI Systems, visit www.aquaa.com/type-i-laboratory-water-purification-systems-for-pre-treated-water.